Oh Yeahh! - your daily dose of happiness - the first lip balm which not only intensively cares for your lips but also stimulates the production of the happiness-inducing hormone Serotonin! Available in five on-trend shades to give your lips a delicate shimmer because we believe that looking good, is feeling good. 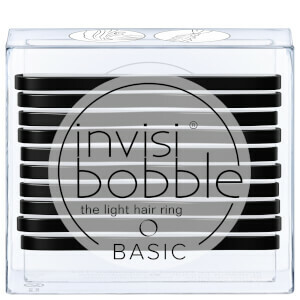 Receive a FREE invisibobble Basic The Light Hair Ring - True Black (10 Pack) when you buy any invisibobble product. Complimentary gift will be awarded at the basket. Offer valid for a limited time only, while stocks last.